This is the return value by the Pathfinding.IRaycastableGraph.Linecast methods. Some members will also be initialized even if nothing was hit, see the individual member descriptions for more info. Distance from origin to point. 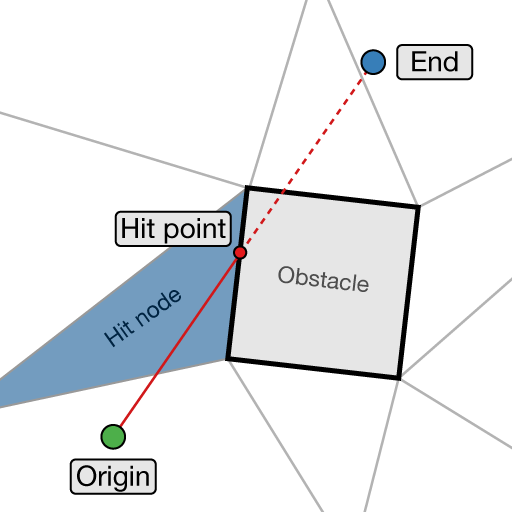 Node which contained the edge which was hit. If the linecast did not hit anything then this will be set to the last node along the line's path (the one which contains the endpoint). For layered grid graphs the linecast will return true (i.e: no free line of sight) if when walking the graph we ended up at X,Z coordinate for the end node but the end node was on a different level (e.g the floor below or above in a building). In this case no node edge was really hit so this field will still be null. Note that the point passed to the Linecast method will be clamped to the closest point on the navmesh. In case no obstacle was hit then this will be set to the endpoint of the line. Tangent of the edge which was hit. 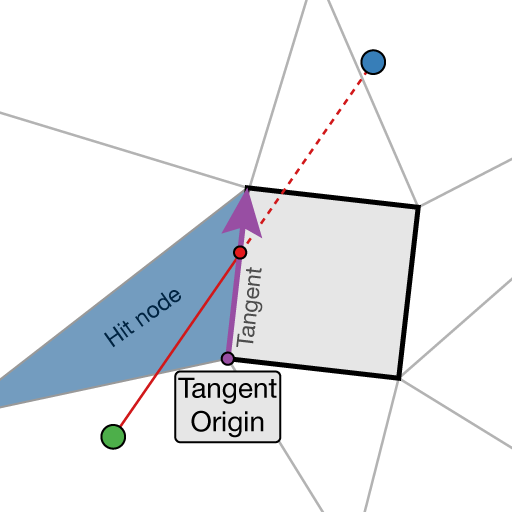 tangentOrigin and tangent together actually describes the edge which was hit.